PSA: if you have "Contribution culling" enabled in advanced graphics, it stops chests... and their outlines... from rendering around farther than 120m away. disabling that options make it work as it used to. 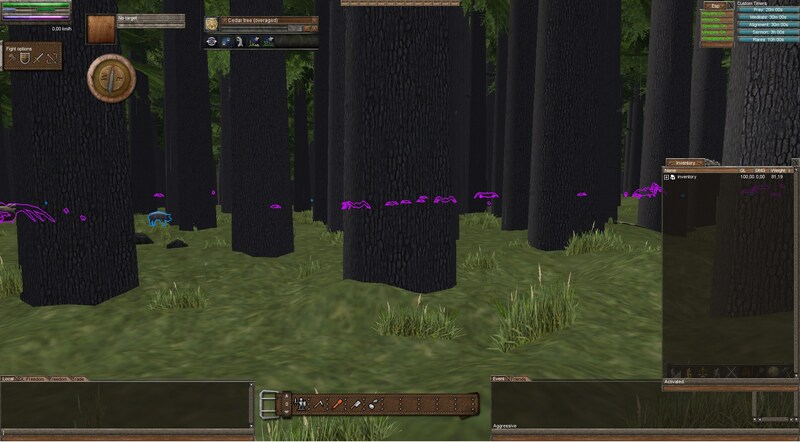 This mod it's not to be used in Wurm Online under any circumstances. Updated, now colors can be edited in config. -Now features can be set by default on config File. -Now there is a window with buttons to turn on/off each feature. Very nice, someone should have done this like a year ago. What is Specials for? Thanks, specials are treasure chest and source deposites right now, on future update will be able to add/delete by config file. It's a subset of the bearmods so at least this version is available to everyone. While this is true. It is still another huge spoiler. Before much longer people will have no need to think to play Wurm, everything will just be super easy mode. Not disagreeing with you at all in terms of liking people to have an option for a harder game. Unfortunately there is no way to control what the client can use and the absence of that control from a server side perspective means that the people who don't use mods like this are at a disadvantage, especially in PVP, to those that do. -Instead of dragons only, all uniques are tracked. -- These items will appear while it refresh, wont search on already loaded items. I have just come to the decision as a server owner, instead of trying to fight it, make other kinds of challenges and work around it. Players should have options, the client just gets too much data that should be hidden from them unless a proper action is done. Fixing all of that is a monumental task at this point. Like this mod is neat, but with it why propsect. The compass mod is neat but with it why make compasses. The toolbelt mod is neat but why make toolbelts. This is a crafting game, so these mods are kind of killing it. However, that being said I get it and I think you have done phenomenal work. All I ask is please please respect one thing. If they ever get #checkclient working, please do not release a public mod to work around it. The compass mod is neat but with it why make compasses. The toolbelt mod is neat but why make toolbelts. This is a crafting game, so these mods are kind of killing it. Well my take, and reason why i made those mods - the UI in wurm is already horrible enough, so i don't think that making it a bit less horrible should be gated behind ingame crafting. But you realize that if it ever becomes a thing there will be private mods that bypass it within seconds. There are people that run "hacked" clients on WO and have done so for years, even with all the anti-cheat stuff. Yep bdew, and I actually recommend the toolbelt and compass mod because well its nice to have if one or two players are going to have it I wan't all my players to have it. However, I hope you see my point about not needing to make high ql compasses and toolbelts. It is kind of a double edged sword. I just prefer to not have crafting items taken away, but it is ok I just make more things to craft haha. In fact as far as compass you don't even need it if you have live map, cause you can just start walking and see which way the map moves... 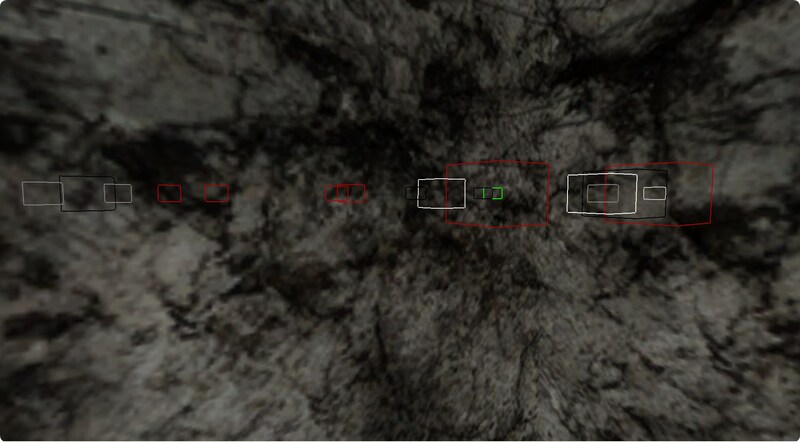 I use your compass mod for the depth lol, makes it easy to fix up caves and such. I started this on september, just for fun, after that a lot of people contacted me to release it, so i decided to get it a bit better and release something easy to use for most people and a bit configurable, i decided it because there is always an "elite" that use it, dont share and others play with disadvantage. I dont care if people hate me for this, i sleep amazingly all i can sleep :P, all i know is that a lot of people is now using it, from the graphs on github. About the client check, even if devs make a ring0 clientcheck would be possible for people to avoid it, dont waste time and get the game better. I dislike reading event-tab text for analyse. That ores Xray feature showed me it should be possible to highlight ore veins limited by the analyse event. +1 from me simply for inspiring me onto another neat idea. I don't hate you for it, I don't hate anybody for any mod they release to the public. I am just sad that in my opinion many mods are taking away from the game rather than adding to it. However, note that is my opinion and just like buttholes everyone has their own that poop comes out of haha. Also Soph and Bdew I think one thing you are overlooking is there are not a great deal of wurm modders, and the people who would circumvent the client loaded class checks privately are the kinds of people you really don't want on your server, unless you are running a serious pvp server, in which case you are begging for hurt anyway. Im not reffering to you Xyp, and i appreciate you gave your opinion. what exactly do i have to type in console to get xray to work? i have tried everything i can think of and it wont work. i can highlight any other item in the game though. did that, still not doing anything. i just edited the config file so that its always on. which server are you playing?